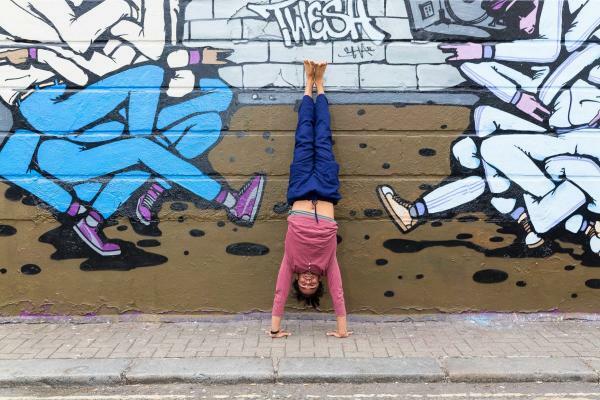 I teach regular yoga workshops in London and around the UK. These are a great opportunity for a more detailed exploration and to delve deeper into a particular subject area. Perhaps even exploring areas of yoga that we don’t have time for in a normal yoga class. We are able to focus on specifics and gain new insights, tips and tools to transform your practice and understanding. "Your yoga workshop left me feeling on top of the world, ready to face anything and believing that all was possible. Everyday should be spent feeling how your yoga workshop left me feeling!" The intention behind a yoga intensive around the time of the Spring Equinox is to take advantage of the energy of the changing of the seasons to inspire students to rejuvenate their yoga practice and to encourage positive growth and transformation in their lives. It is an auspicious time for beginnings and a time for renewal both in nature and in ourselves. So if you are a student who is open to discovery, experiencing your yoga in fresh new ways and taking your practise of yoga deeper - then come and experience Jeff’s inspiring teaching! He loves to skilfully incorporate a range of students - from the more stiff and novice to the more advanced and experienced when he teaches, giving a range of appropriate options (for example when working towards arm balances or inversions) so that the student has the opportunity to find an extra depth to their practice yet work peacefully at the level appropriate for themselves.. So come and enjoy a powerfully purifying and inspiring exploration of Yoga practices with Jeff Phenix as your guide.... and help to ‘spring clean’ both physically and mentally, removing any negative energy accumulated over the dark winter months and prepare us for the growing energy of spring and summer. Come and allow Spring to bloom within you! Looking for classes or retreats? "Your yoga workshop provided me with a total awakening of my body, mind and my spirit. I am used to doing 'normal length' classes but the opportunity to immerse myself in a full day of yoga completely re-energised my entire being and elevated my sense of awareness to one which I had never experienced before." "As one of the world’s worst meditators I can honestly say that I have got closer to that point of profound silence in Jeff’s yoga workshop than I have with the many yoga teachers of India with whom I have studied. He is the genuine article – a gifted teacher deeply commitmed to the ancient yoga teachings. He wants to infect everyone with his enthusiasm, but he is very cool and never stuffs it down your throat". "I just attended your yoga workshop at Indaba. It was amazing I truly loved every second of the 3 hours, it went so fast. Your voice was mesmerising and I loved the way you made us explore and play in the poses."